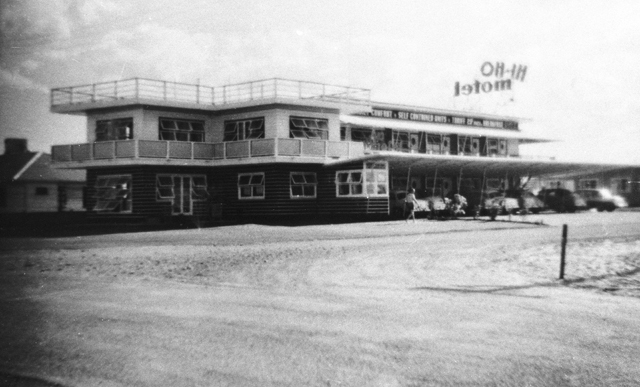 The first Hi Ho Motel operated for almost 15 years until it was demolished. 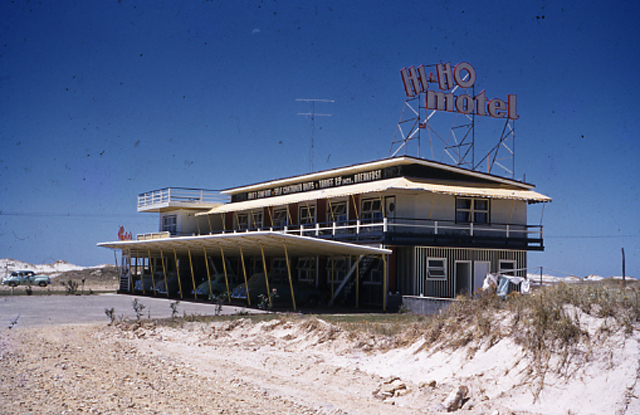 When the Hi Ho Motel opened in 1958 it was one of only 18 motels in Queensland and 45 motels throughout Australia. 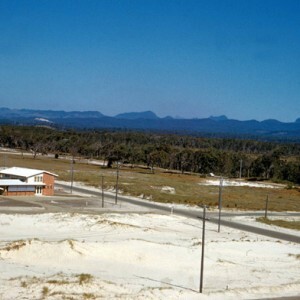 The late 1950s is considered the start of the motel boom in Australia and by 1959 the number of motels in Queensland had increased from 18 to 40 with the Gold Coast considered to be the epicentre of motel development in the late 1950s. 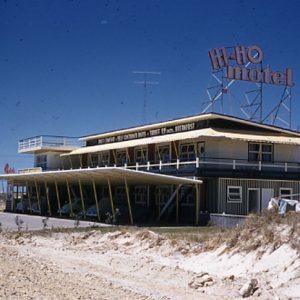 The original Hi Ho Motel located at 2 Queensland Avenue in Broadbeach, operated for almost 15 years until it was demolished to make way for the new motel of the same name in 1972. 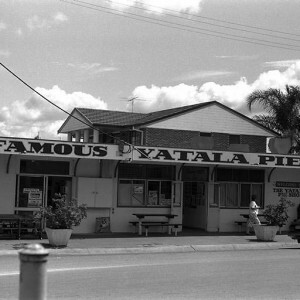 During those 15 years it was almost exclusively run by Eina and Geoff Ackermann who were well known moteliers on the Gold Coast. The Ackermann’s managed to build up a return clientele with permanent bookings carried over from year to year. Up to the time of demolition in 1972 the Hi Ho was among the better patronised of the local motels. 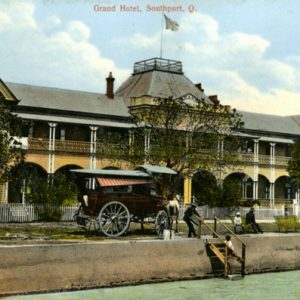 Tariffs included the option of full board or bed and breakfast, and apartments were fully serviced. 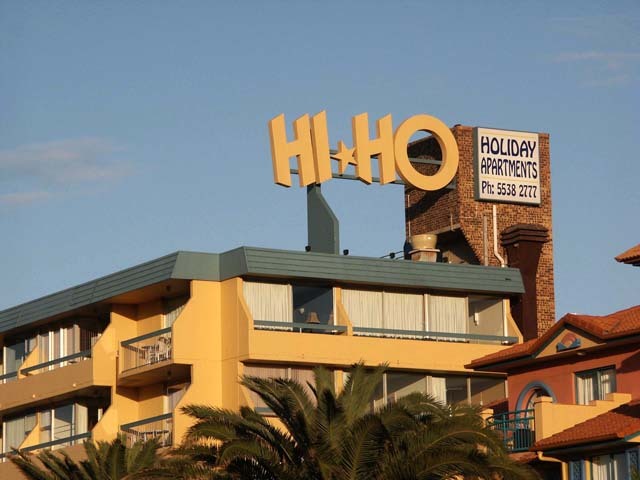 The second Hi Ho Holiday Motel, a six-storey building erected on the original site, opened in 1973 and comprised 35 Strata title one and two bedroom apartments for private and holiday living. 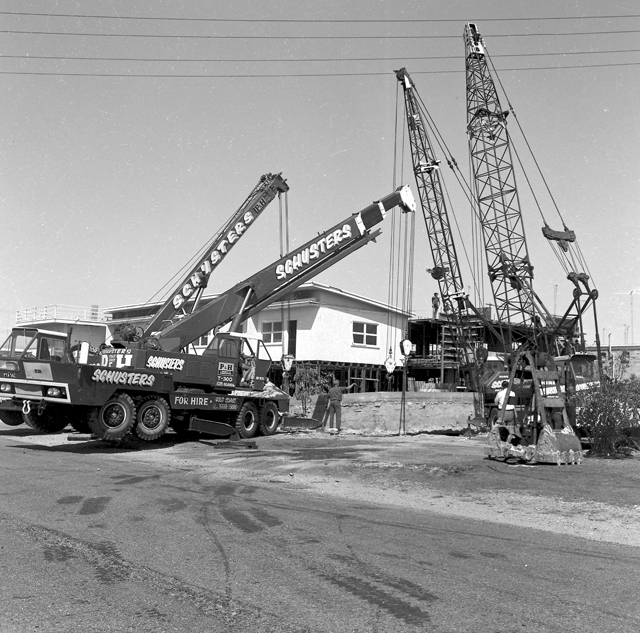 The architects were Burling, Brown and Partners Pty Ltd. and the builder was Ron McMaster Pty Ltd. The apartments boasted every modern convenience including a two-channel radio outlet giving the option of radio broadcasts or piped music. 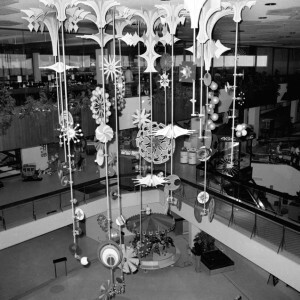 The television wiring was the latest available in anticipation of colour television becoming available in Australia. All units were carpeted in the latest modern shag pile carpet. 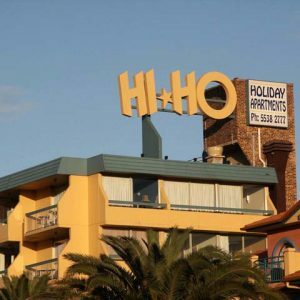 As many of the past Hi Ho clientele had expressed their wish to continue returning to their beloved beachfront holiday destination, the new motel began business with a large clientele of past patrons who had belonged to the old Hi Ho ‘family’. 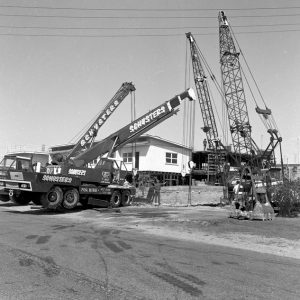 As of 2017, the Hi Ho continued its operations into its 45th year of business. The new Hi Ho Holiday Motel (1973, July 5). Gold Coast Bulletin (Southport, Qld. ), p. 11. Impressive high-rise project (1973, July 5). Gold Coast Bulletin (Southport, Qld. ), p. 12. 15 years in motel business (1973, July 5). Gold Coast Bulletin (Southport, Qld. ), p.14. Reeves, Simon. 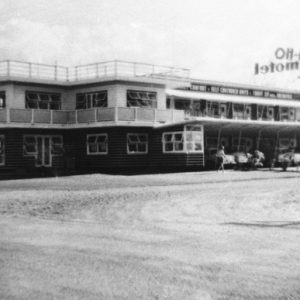 Australia’s early motel boom. Built Heritage Pty Ltd. MO, vol. 11, no. 1, pp.15-17. Cruise, Stafford Henry. Photographic directory of Surfers Paradise accommodation / P. Cruise; 1967. McRobbie, Alexander. The fabulous Gold Coast. 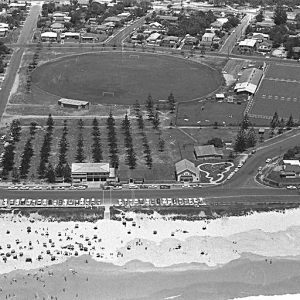 Surfers Paradise, Pan News, 1984. Accommodation ephemera held in the City Libraries Local Studies Collection LS 919.321 ACC.